As for the possibility that one day robots will turn on us – Kragic is skeptical. Humanity came one step closer in January to being able to replicate itself, thanks to the EU’s approval of funding for the Human Brain Project. 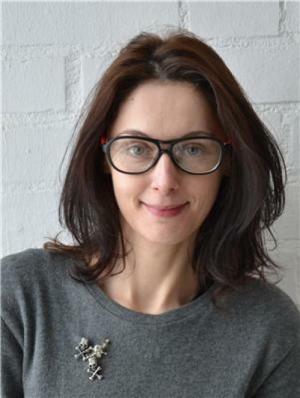 Danica Kragic, a robotics researcher and computer science professor at KTH Royal Institute of Technology in Stockholm, says that while the prospect of living among humanoid robots calls to mind terrifying scenarios from science fiction, the reality of how humans cope with advances in robotics will be more complex, and subtle. The Human Brain Project will involve 87 universities in a simulation of the cells, chemistry and connectivity of the brain in a supercomputer, in order to understand the brain’s architecture, organisation, functions and development. The project will include testing brain-enabled robots. “Will we be able to – just by the fact that we can build a brain – build a human? Why not? What would stop you?” Kragic asks. Nevertheless, consumer-grade robots are a long way from reality, says Kragic, who in addition to serving as Director of KTH’s Centre for Autonomous Systems, is also head of the Computer Vision and Active Perception Lab. She says that in order for robots to offer some value to households, researchers and developers will have to overcome some daunting technological challenges. Robots will have to multitask and perhaps even be programmed to have emotional capacities programmed into their logical processes, she says. Kragic sees robots making a largely positive contribution to society. But they will also present some novel problems for which humans have few reference points, such as what are the social norms for interacting with robots? Kragic predicts that one of the most popular consumer application of robots will be as housekeepers, performing the chores that free up time for their owners. They could also take over jobs that are repetitive, such as operating buses or working in restaurants. On the other hand, the robot industry will expand and create jobs, she predicts.